The Classic range from Miller features a selection of creative and practical products. 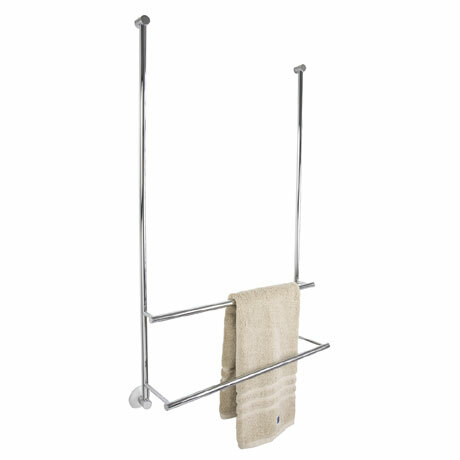 Designed and developed with careful attention to detail, this innovative double towel rail simply fits onto any frameless glass shower door or screen keeping towels and robes close to hand. Suitable for glass up to 8mm thick and finished in polished chrome. Manufactured from the finest materials and backed by a 10 year guarantee against faulty workmanship.